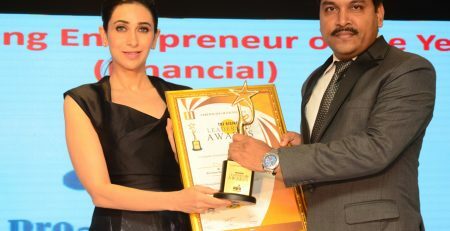 KSMBOA Business Excellence & Achievement Awards is an epitome for celebrating, motivating and recognizing SME entrepreneurs in India. This event is annually hosted by KSMBOA, the apex body that is dedicated to work relentlessly in bringing together all the SME’s in India and to promote the best practices in various business industries. KSMBOA – Business Excellence and Achievement Awards will recognize growth focused, innovative and best SME’s of India. 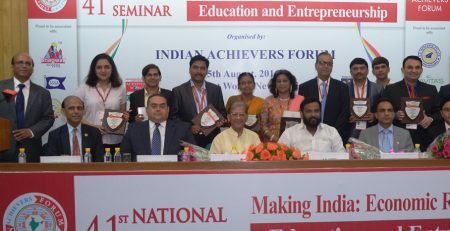 The main aim is to recognize & reward achievers and enablers to encourage an Entrepreneurial Spirit. 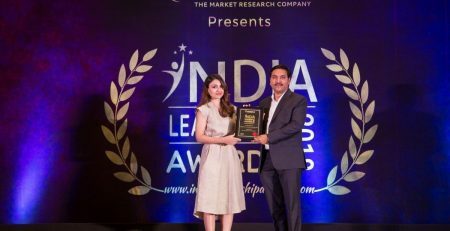 These awards would honour vibrant organizations which play a pivotal role in promoting Entrepreneurship in India. 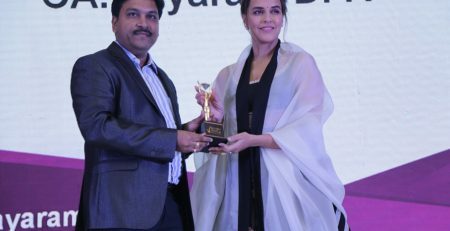 It is firmly established as the highlight in the entire SME awards calendar. 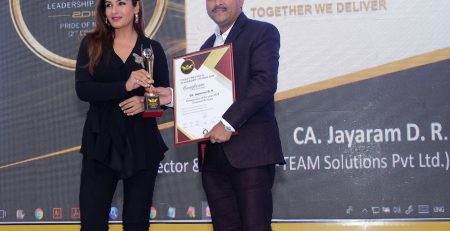 Pro team Solutions Pvt Ltd was awarded the Best SME of the year in social responsibilities for the year 2015. 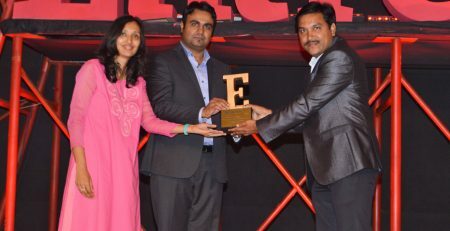 The award was received by Mr Jayaram D.R – Founder and CEO of the Pro team Solutions Pvt Ltd. 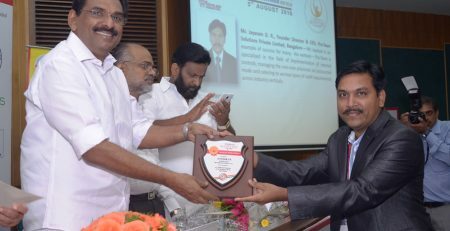 The award function was held on Saturday, 4th July 2015 at Bengaluru Karnataka.